This past weekend's all-star festivities resulted in a record-setting broadcast for CBC's Hockey Night In Canada, with an average audience of 2.461 million viewers. 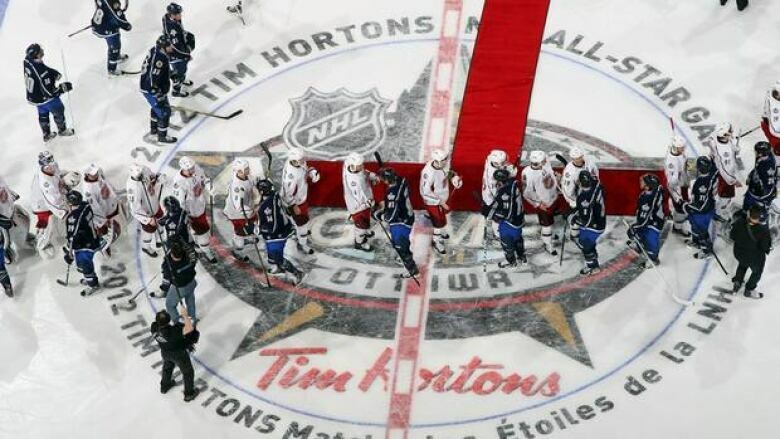 This past weekend's all-star festivities in Ottawa resulted in a record-setting broadcast for CBC's Hockey Night In Canada. The 2012 NHL All-Star Game on Sunday drew a record average audience of 2.461 million viewers, an increase from the previous record set last year of 2.389 million people. Overall, more than 7.3 million people tuned in for all or part of the game. "The numbers make it clear the NHL All-Star Weekend on CBC's Hockey Night In Canada continues to be a must-see event for Canadian hockey fans," said Julie Bristow, executive director, studio and unscripted programming, English services, CBC. "To see record audiences tuning in year after year exemplifies our dedication to producing the best in Canadian sports programming and to increase the game's fan base in partnership with the NHL." It wasn't just the game itself that broke a record. Saturday night's NHL All-Star Skills competition brought in 2.468 million people, also setting a new record. Roughly 30 per cent of the population tuned in to some or part of CBC's broadcast this past weekend — 10.2 million Canadians. Team Alfredsson beat Team Chara 21-12 — despite a record-setting 108.8 mph slap shot by Bruins defenceman Zdeno Chara — in the skills competition but Team Chara got the last laugh in the all-star game itself, beating Team Alfredsson 12-9 in the showcase. New York Rangers forward Marian Gaborik was named MVP of the game with three goals and one assist, while Alfredsson notched two goals and a helper in the loss.